The sinus lift techniques had a lot of modifications through the years. In 1960 Boyene - published sinuslift with lateral access. In the beginning it was used for achieving an optimal intercrestal distance needed for denture making. But in the 1980 Boyen and James started to place implants in the newly created bone. 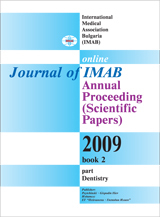 The wish of patients and dentists for minimalivasive methods lead to the development of new innovation techniques. .